I’m here today to start a series on starting your own blog. There are many, many articles out there on how to monetize your blog, how to grow your blog, and how to reach more people (and when you’re done with my series, go check them out!). But, there are not that many regarding the technical nitty gritty of getting a blog up and running, and if you do find one, it’s usually full of technical details hard to understand. We’re going to try to make this so anyone can do it. With the advent of WordPress, Drupal, Joomla, et al, creating a website has become much easier than it was in the days of the dot com boom. No longer do you need to understand and be able to write HTML, CSS, Java, or any other web language. It’s all done for you, in the beauty of a software package, a theme, and plugins. Everything is point and click. Because of that, anybody, with a little time and determination, can create their own blog. And, it can be on the cheap! So, what is it you need to do to get started? Before I get into the “how”, I want to start with a little “why”. There are choices to make when starting out. What software package (WordPress, Joomla, Drupal, etc)? Which type of hosting? Which host? What is a host? Let’s answer some of those questions first. If your goal is ultimately to blog, the platform of choice is WordPress. It is, by far, the most popular, and therefore the easiest one to get help with. For that reason alone, your best choice is WordPress. On top of that, it’s easy to use, highly customizable, and easy to extend (add more functions to- for example, to start an online store). The next choice, then, is what type of hosting. This can get technical, but I’ll try and keep it simple. WordPress comes in two different flavors- they offer their own hosting, found at wordpress.com. Or, they release the platform as open source software, at wordpress.org. Personally, I would discourage you from using the .com. You’re going to end up paying more money for less features. Instead, you’ll want to find a different host to run your WordPress platform. It requires a few extra steps of work, but you end up with a more powerful, customizable, and cheaper website. Then, with a few simple instructions, you’ll be up and running in no time. This is where we get into types of hosting. Cloud Hosting – I hate the term “cloud”. In reality, every website ever is in “the cloud”. This is difficult to explain in 1 quick statement, but I’ll try: Many servers, divided into chunks that are each assigned to 1 person. Take a look at this link for a nice infographic and a few more details. I’m going to add my voice to the one found at the above link, and tell you that Shared Hosting is the way to go when you’re starting out. It’s cheap, it’s more than good enough for most people, and there are a few tricks to getting a little more performance out of your shared server that we’ll talk about in a later article. *Disclaimer: This post contains affiliate links. That means, if you click a link and buy something, we’ll get a kickback. If that scares you, don’t click the links! Alright- now we know we want WordPress, hosted on a shared server. The next problem is picking a hosting provider. There are hundreds. We want to look at a few things. Cost- shared hosting should be cheap. Performance- you don’t want a host who puts excessive amounts of websites on a single host. Scalability- you want a provider who’s going to allow you to migrate your site to better hosting if and when you need it. You will see that Hostek provides a host (haha, see what I did there?) of different plans. Here’s where we get into the nitty gritty. You know we need Shared hosting. What you didn’t know is that there are different kinds of shared hosts. We can get a Windows host (ASP.NET). We can get a Linux host (cPanel). We could get a ColdFusion or Railo host. I’ll make this simple for you: go with cPanel. cPanel is a GUI (Graphical User Interface) for your host. It’s going to make the installation of WordPress super easy, and, as a rule, Linux is more efficient than Windows, so you’re going to get more bang for your buck. So looking at Hostek’s options- we’re going to buy a Shared Linux/cPanel hosting plan. I can tell you that this site is currently running on the Personal option, at the massive cost of $5.79/month. But, before you buy, you have one more decision to make. You need a domain name. 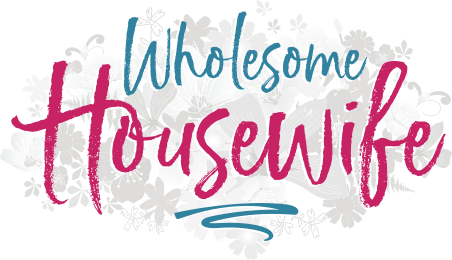 wholesomehousewife.com is a domain name. It’s the name for your hosts address, and a domain name server (DNS) is like the phone book. When you type a domain name into your web browser, it’s like looking up your name in the phone book. Your computer looks at DNS, finds the address that’s tied to the name, and then goes to that address. You want to pick a name that’s easy to remember- thebigredbarn.com is a lot easier to remember than tbrbinca.com (The Big Red Barn in California). So take the next few days and really think about what domain name you want. Once you’ve picked a domain name, come back here for the next article in the series- how to go through the purchase process and actually get WordPress up and running! Also, stay tuned for a special update from Hostek! If you have any questions, please ask them below, and I’ll be sure to get back to you ASAP.